Kids Rhythm and Rock – Page 11 – Kids music news and reviews for librarians, teachers and parents. Mark your calendars and place your orders! Here are a few of the new releases for September. Recess Monkey is back! 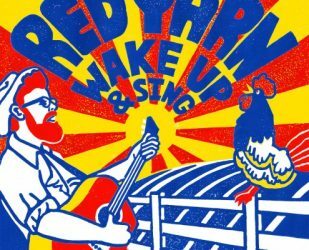 The trio from Seattle, whose sound is often compared to that of the Beatles, returns with Novelties, an album filled with 14 brand new, original songs. With their quirky style and fun sense of image building, Drew Holloway, Jack Forman, and Korum Bischoff, draw listeners into fun songs about things like the mustaches of the world being set free, a wind up robot, a love struck unicorn who has just caught sight of a Narwhal, and a “Sweaty Yeti” who was seen running in the forest. Mixed-in with the silliness are topics that children can easily relate to such as the simple joy of a piggyback and creating a band by playing music on pots and pans. Their unique blend of rock and pop styles from across the decades gives their clever lyrics a liveliness that is impossible to resist. Kids will enjoy the song “Show and Tell” whose chorus asks, “Hey now what will you bring/You can choose anything” and finds the students bringing bigger and splashier things to school as the week goes on, while in “Snowball,” when a boy’s older brother nails him with a snowball during the winter, the younger sibling hides it in the freezer and warns, “When summer comes along I’ve saved a little something for you.” It may take more than one time listening to the album to get the full gist of the lyrics, but when the children do, their eyes will light up with the full understanding of the songs. 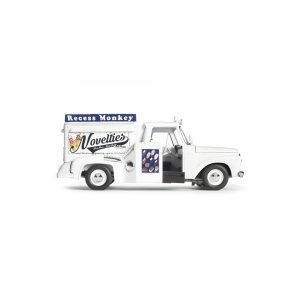 Recess Monkey does provide all of the lyrics to their songs on their website in case you want to read along while you take a listen. They also have their own YouTube channel where you can watch videos of some of their older music as well as videos for some of their new songs like the ode to that most delicious deep fried treat in “Time to Make the Donuts.” While this album wouldn’t work well in a storytime or classroom setting, it is perfect for family listening. My favorite time of the year to take long walks in the great outdoors is in the fall, when there is just the beginning of a crispness to the air and the leaves are changing colors and drifting to the ground. It’s during September and October when those hurried footsteps of summer begin to slow down that I take a deep breath and really enjoy all that is around me. Tonight, I realized as dusk began descending so much earlier than I thought it should, that autumn is really not that far away. And it was then that I remembered this lovely CD that first came to my attention in the spring. 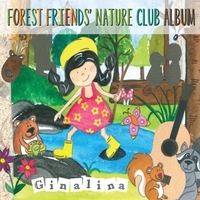 Canada-based singer/songwriter Ginalina perfectly captures the gentle, awesome wonders of nature in Forest Friends’ Nature Club Album, her second album for children. A couple of years ago Ginalina, along with her three young children, spent weekly adventures in the forests of British Columbia’s Pacific Spirit Regional Park. It was these walks in the woods that became the inspiration for the 15 original songs in this collection. Ginalina’s beautiful soprano blends perfectly with among other instruments, banjo, violin, guitar and in one case kazoo, on these folk/pop/country infused tunes. Included on the album are two French language songs. “La Vie est Belle” which has such a catchy melody that even listeners who don’t know any French will find themselves singing along and “Play…Jouer,” a bilingual echo song that children will enjoy participating in. 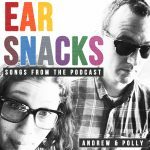 Songs about friendship and love (of one another and blueberry pancakes) are in this collection as well. There are also several fact-filled songs that are so well written that children won’t realize how much they are learning. “Rainbow” teaches listeners about the colors and science that make a rainbow, while “Honey; We Love You” is a great ode to the honey bee. In addition, “Shapes are Everywhere” is filled with beautiful harmonies that describe all the shapes that can be found in nature. The delightful video below could easily be used in storytime, in the classroom, or before a family walk as an introduction to this concept. In this world where everyone, no matter how young, is always plugged in, Forest Friends’ Nature Club Album is the perfect reminder to take time, relax, and enjoy the amazing beauty that is all around you. With school starting in many areas this week, I thought I would highlight a couple of albums that have come out within the past year – one for the preschool set and one for those in grade school. 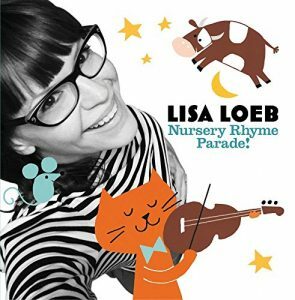 One of my absolute favorite albuims for preschool teachers and parents is Lisa Loeb’s latest, Nursery Rhyme Parade! As stated in the Public Library Association (PLA) and Association for Library Service to Children (ALSC) initiative Every Child Ready to Read, beginning at birth, singing is one of the key activities for parents and caregivers to do with children everyday to help develop early literacy skills. What better way to do that than with nursery rhymes? For the last few years we have noticed that more and more of the parents coming to our storytimes and early childhood programs have no knowledge of nursery rhymes, which is why Lisa’s album is so important. In this collection, 35 nursery rhymes are treated to Loeb’s beautiful, clear voice. Backed only by soothing acoustic accompaniment, the words and rhymes are allowed to shine. Everything is here from Mother Goose favorites such as “Sing a Song of Sixpence,” “Peter Piper” and “Humpty Dumpty” to classic children’s songs like “This Old Man,” Here We Go Round the Mulberry Bush” and “Twinkle Twinkle Little Star.” Every preschool teacher, librarian and parent should have a copy of this CD. 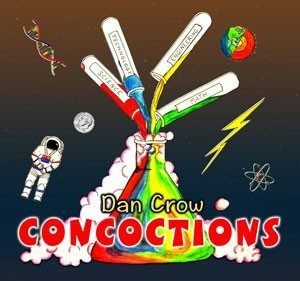 For the older set, Dan Crow’s latest album, Concoctions is a solid choice. While there are only five original songs in this collection, they are written more for a grade school audience with an overarching STEM (Science, Technology, Engineering and Math) theme. With high energy melodies, Crow delivers rousing tunes such as “Science Science Science” which emphasizes the fact that science is everywhere, in the sky, on the ground and all around. “Technology” talks about what technology is and how it has evolved. Here is a cute video to go along with the song. And “You’re an Engineer” touches on the many, many ways that you can be an engineer. The song “Seven” is an ode to that luckiest of numbers while “Franklin D. Dime & Abraham Penny” is about, you guessed it, the coins in your pocket. The unique thing about this album, which would make it useful in a classroom activity, is that the last half of the album is karaoke versions of these five songs. What a fun way to introduce students to the general concept of STEM! Two time GRAMMY nominee Justin Roberts is back! 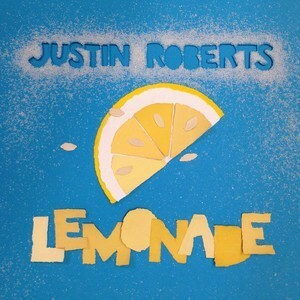 For his newest album for children and families, Justin Roberts is going back to his acoustic roots with Lemonade. Check out his new crowdfunding venture which gives funders exclusive behind the scenes access to the making of the album. Sounds like Lemonade is going to be a rollicking good time! Emily Arrow is a name you need to know. 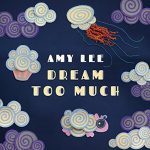 A former elementary music teacher, her experiences with and understanding of younger children is evident in this, her debut album of eleven original songs. One of the unique things that Arrow does on this album is introduce a new genre of children’s music, “Kidlit Tunes.” This term, coined by Emily, pertains to songs specifically written about favorite picture books (with the authors’ permission). 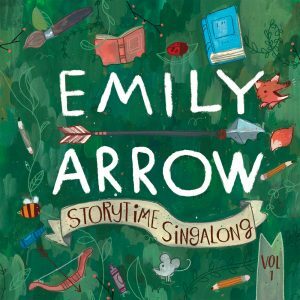 These songs, inspired by the books, weave the story into a song and according to Arrow, she uses the illustrations for the inspiration of the tone and sound of each song as well. Included on this album are songs related to books such as Louise Loves Art by Kelly Light, The Curious Garden by Peter Brown (for which Emily won the 2015 John Lennon Songwriting Competition), and One Day, the End by Rebecca Kai Dotlich. Each song can be used with the correlating book, or can be enjoyed all on its own. Emily has charming videos to go along with each of these picture book based songs (and many others) on her website as well as on her YouTube channel. Also included on this album are songs that would be great additions to storytime or the classroom. The album opens with the song “Books! 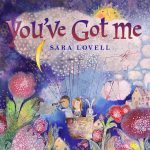 Books!” which include lines like, I’ll read to you, you, you/You’ll sing to me, me, me and would work really well for anyone who is looking for a new, gentle song to begin storytimes. “Poem in Your Pocket” would work well when introducing children to poetry or the concept of rhyming words. Built into the song are pauses where children are invited to come up with words that rhyme with those that Emily just sang. The interactive “Peanut to My Butter” contains lyrics like You’re the peanut to my butter, the bumble to my bee and could easily be used in lessons about things that go together such as shoes and socks and baseballs and bats. 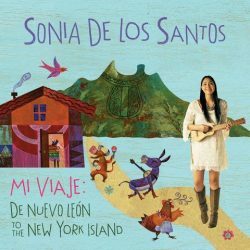 This is a great album that librarians, teachers and parents will all enjoy! Wisconsin based Duke Otherwise, or Noah Riemer as he is commonly known, returns with another successful, off the wall outing. All twelve of the original songs on this album are filled with fun, imaginative word play set to melodies that will keep listeners thoroughly engaged. While some of the topics are just plain silly like a dancing pig, what your nose and ears would be like if you lived a thousand years, and poor Kitty Wampus, the school bus driver who is always getting lost, others have enough of a grain of truth to them to make them relatable. Little boys who are at the stage where taking a bath is a horrible thought will love all but the ending of “So Good at Smelling Bad” about a boy who hasn’t taken a bath in five years while both parents and children will enjoy the song “Don’t Say What Daddy Says,” which talks about the times in life when Daddy may say a bad or mean word but ends with the important lesson that children shouldn’t repeat those same words. Most of the songs have upbeat tempos that keep things moving along, like “What Kind of Hairdo Do You Do?” which mentions over 30 different hairstyles from the beehive to a comb-over to a Princess Leia all in under two minutes. No matter the subject of the songs, Riemer’s rich baritone always conveys the lyrics clearly while supported by various combinations of instruments covering a variety of musical genres. This is a great album for family listening but could also be used in the classroom as an example of how to take every day situations and make them fun and silly. 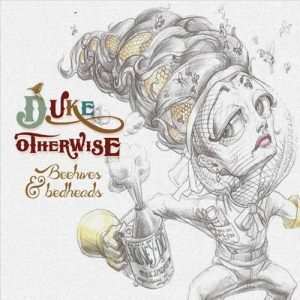 Note: I have seen Duke Otherwise perform. It’s a fantastic, fun, interactive show that also contains some awesome tap dancing. Well worth taking a look if you’re ever in the Midwest and can catch a show. This is one of my favorite albums of the year. Partly because of the nostalgia attached to several of the songs that tugs at my heart strings, but mostly because of Panton’s beautiful voice and the incredible musicians accompanying her. A Canadian jazz singer, Panton has made a career out of performing top notch music for adults, earning many accolades along the way including a Juno award (the Canadian equivalent of the Grammy award). 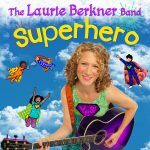 In this, her first album for children, she lets her voice shine on fourteen lovely, gentle songs that would be perfect at bedtime as a nice alternative to traditional lullabies, during those quiet moments in storytimes and programs, or just those more reserved times of a family’s day. Included in this collection are charming versions of well known songs, some of which are rarely covered, that I’m so happy to see being introduced to children today. Songs like, “Little Things” and “Sing” from Sesame Street as well as “The Rainbow Connection” from The Muppet Movie, “When You Wish Upon a Star” from Pinocchio, and “Pure Imagination” from Willy Wonka and the Chocolate Factory. 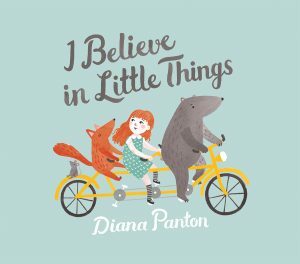 Panton is also fluent in French and her mastery of the language is displayed in the lovely song “Alice in Wonderland.” I Believe in Little Things is a must have for every collection.